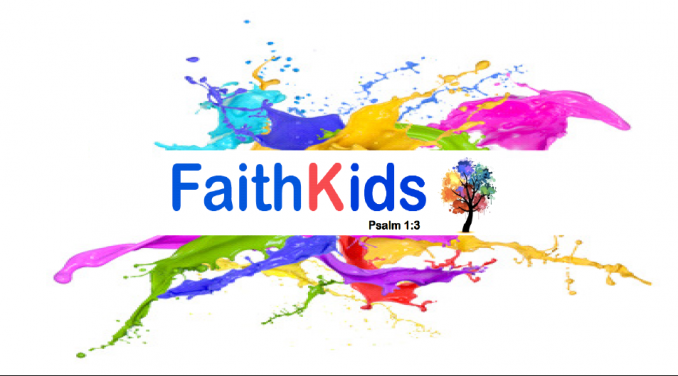 Because children matter to God and because the next generation is important to us at Faith Community Church, we give a lot of attention to our children’s ministry. We believe there is no greater need than to model God’s love and share the truth of God’s word. Besides offering several events for the entire family, we offer various activities for children throughout the year. For the safety and protection of your children and your own peace of mind, all our children's workers are screened through an application process. In our Children’s Church program, your child will learn the Word of God, worship in song, and grow spiritually strong in an interactive learning environment. Children are dismissed to children's church just prior to the Pastor's sermon. We are committed to providing a safe, fun, and quality-learning environment for your children. Our child care program is located adjacent to the sanctuary and is offered during our Sunday morning celebration service. Sunday School - Not offered at this time. One-Way Club is a Bible centered activity time for children of all ages. There are games, singing and a great Bible lesson. One-Way Club meets at church on Wednesday Nights. (Oct. - April) One Way Club will begin on October 5th. Check-in starts at 5:30 pm and Club will begin at 6:15 (time change). The program is over at 8:00 pm. There is a family meals that begins at 5:45 pm. All are welcome! Register below. Bridge is a special program connected with One Way Club. Bridge is a ministry designed to meet some of the unique transitional needs pre-teens deal with in our society as they cross from tweens to teens.